The font used in the image above is called Hitchcock. Matt Terich created it based on Saul Bass’ handwriting. His work influenced many other graphic designers as well. “In his 50-year career Bass left a clear imprint on the communications industry, particularly in film and advertising.” His simple, symbolic images, which were used in both print and animated ads, employed a new design form that relied more on visuals than language to deliver the message. As a graphic designer, I admire the work of Saul Bass and feel its important to know about his style and career. Saul Bass was born in 1920, in New York, NY. He moved to Los Angeles in 1946, where he started a graphics design company that focused on advertising films, trailers, posters and logos. It was called Saul Bass and Associates. Saul’s first big break was an advertising job for the movie The Blue Moon, but it was his design concept for the Man With the Golden Arm, in 1955, that made him well known. Instead of showing a picture of the lead, Frank Sinatra, it displayed a simple sillouhette of a twisted arm which represented heroin use. The use of jagged edges, broken type, basic colors, and graphic symbolization were very different from the usual realistic images of the time. Bass lived by the words “symbolize and summarize.” His incredible skill with single images promptly set the mood with logos for Preminger’s films, Exodus and Anatomy of a Murder. He also worked very closely with Alfred Hitchcock doing posters for Vertigo and Psycho. So valued was Saul’s opinion, that he served not only as title designer, but as visual consultant on movies such as Spartacus, West Side Story, and Grand Prix. His most famous partnership was with Hitchcock. He did the storyboarding for the well-known shower scene in Psycho. This scene is the most famous and studied scene in cinematic history, and there has been a great debate over Bass’s claims that he actually directed the scene, even co-stars, and historians agree. The scene’s reliance on visuals instead of dialogue shows Bass’s work at his best. His career continued booming well into the sixties with titles such as The Cardinal, The Facts of Life and Walk on the Wild Side. But then his style began to fall out of fashion. With his firm, Saul Bass and Associates, he turned to corporate designs. So he left his mark in the corporate world by designing logo’s for United Airlines, Quaker, AT&T, and Exxon. In between these projects, he directed short films and in 1974 he directed Phase IV. There was still a generation of people who had grown up with Saul’s work and so they called him back to work on advertisements for their films. The first offer that he received was to do the titles for Jim Brooks Broadcast news. That was soon followed by Penny Marshall’s movie, Big and Danny DeVito’s War of the Roses. Film fan Martin Scorsese inspired creativity in Saul and his wife Elaine. They made “mini-movies” that would set the mood for what was to come. They did this for Cape Fear, Goodfellas, Age of Innocence and Casino. Saul Bass was widely recognized for his achievements in the design world. In 1957 he was awarded the U.S. Art Director of the Year, and elected to the Art Directors Club of New York Hall of Fame in 1978. At one time, Spike Lee’s art staff chose to use Bass’s design for “Anatomy of a Murder” to promote the movie Clockers, but Bass threatened legal action so the ads were quickly altered. Bass died on April 25, 1996 in Los Angeles, California having worked with and influenced many of Hollywood’s most famous directors. But his influence stretched beyond even Hollywood. Director Rodman Flender uses Bass’s style of broken lettering and jagged shapes in his poster for the movie Idle Hands in 1999. New York based graphic designer Hillman Curtis, whose clients included Intel and Macromedia, uses the idea of basic colors and broken words to portray a feeling. The album cover “Tindersticks,” released in 1998, displays jagged images, basic colors, and broken type. These are just a few examples of influences made by Saul Bass’s work. 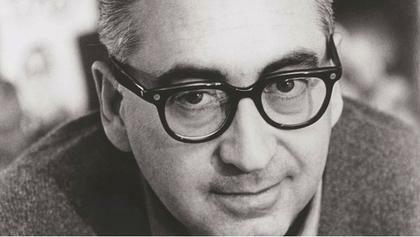 “In some sense, all modern opening [movie and television series] title sequences that introduce the mood or theme of a film can be seen as a legacy of Saul Bass’s innovative work. (Wikipedia)” One last example of a modern homage to Saul Bass’s legacy can be viewed in the intro credits to the 2002 movie Catch me if You Can. This was a short essay I wrote in 2003 for a college design class. If you enjoyed learning about Saul Bass, post a comment below or follow me on Twitter!